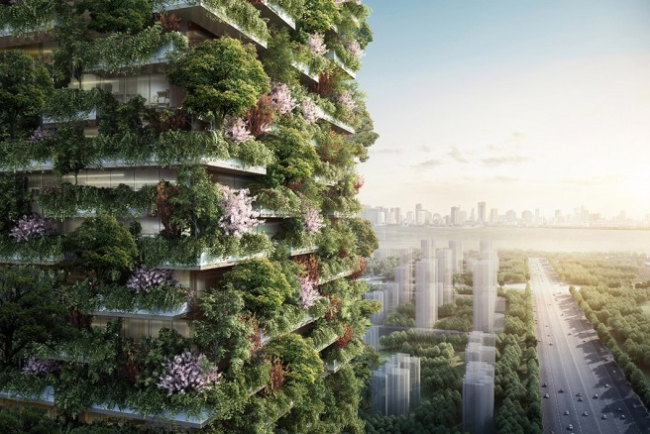 Our skyscrapers of tomorrow may be made of vertical forests. China is looking toward more innovative — and in this case, breathtaking — solutions to its pollution problem. More than eight million people live in Nanjing, the second largest city in the East China region, so there’s hardly any room to plant new trees to combat the city’s pollution. 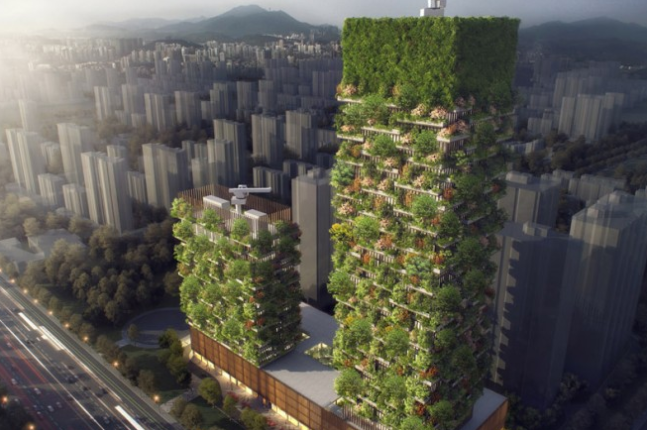 As an alternative, Nanjing is building a vertical forest by constructing living, breathing buildings that can serve to absorb carbon dioxide and produce oxygen at the same time. This vertical forrest is essentially two buildings whose construction will incorporate 1,100 trees and over 2,500 shrubs and plants. The buildings will stand at 107 and 199 meters (354 and 656 feet) tall, respectively, and they will be functional additions to Nanjing’s cityscape. The shorter tower is being eyed to become a Hyatt hotel, while the taller structure will house a museum, offices, and an architectural school. Once construction is completed in 2018, the structures will be able to absorb enough carbon dioxide to produce 132 pounds (60 kilograms) of oxygen. On the standard air quality index, which pegs 60 as “moderate” and anything above 100 as “unhealthy,” Nanjing’s 167 is well above ideal. The city is hoping that the creation of the Nanjing Vertical Forest will improve its air quality. 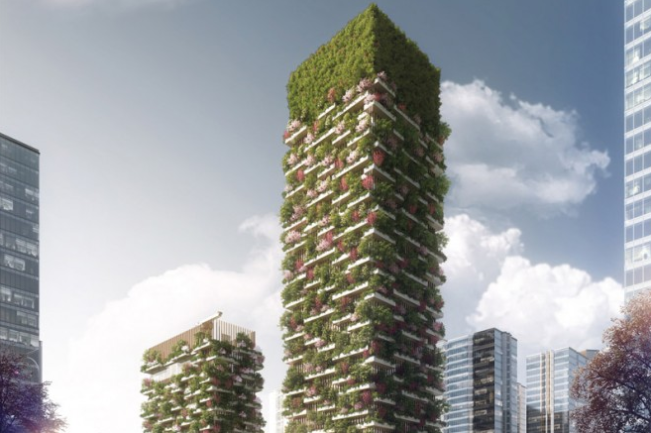 Two other vertical forests are already in place, one in Italy and one in Switzerland, but this is the first to be constructed in Asia, with additional ones expected to follow in Chongqing, Shijiazhuang, Liuzhou, Guizhou, and Shanghai.